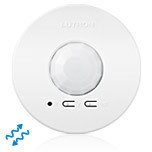 Wireless sensors work with many dimming and switching controls, so you can choose the one that works best for your needs. Plus, Lutron occupancy/vacancy sensors contain optional settings for responding to initial occupancy, making the same unit flexible for any space's needs. 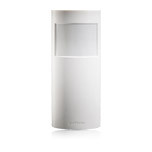 The Lutron XCT signal processing technology greatly enhances the performance of PIR sensors, enabling them to 'see' minor motions that other sensors couldn't previously detect. Plus, the user-replaceable batteries are designed to last up to 10 years.